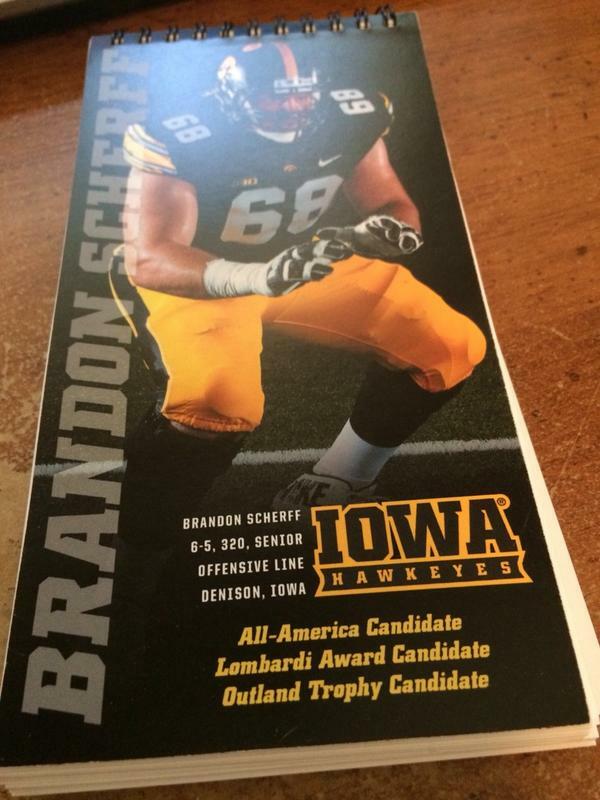 Thanks to the University of Iowa for sending out a notepad featuring their award candidates Brandon Scherff (OL) and Carl Davis (DL). I am always shocked that more schools don’t do stuff like this. TYLER, TEXAS – The first annual Earl Campbell Tyler Rose Award Watch List was announced today at the Tyler Area Chamber of Commerce East Texas Kickoff Luncheon. The Earl Campbell Tyler Rose Award, announced in 2012 by the Tyler Chamber and SPORTyler, recognizes the top offensive player in Division 1 football who also exhibits the enduring characteristics that define Earl Campbell: integrity, performance, teamwork, sportsmanship, drive, community and tenacity; specifically tenacity to persist and determination to overcome adversity and injury in pursuit of reaching goals. In addition, the nominee must meet one or more of the following criteria: born in Texas and/or graduated from a Texas High School and/or played at a Texas-based junior college or four year college. The Watch List announced today will be narrowed to up to 16 semi finalists in November and then up to 4 finalists in December. They will be selected by broadcasters, commentators, journalists, fans and (in the future) former winners. The finalists will be brought to Tyler for The Earl Campbell Tyler Rose Awards Banquet scheduled for January 10, 2014. “We are fortunate to have a celebrity who exhibits the impeccable virtues that define this award. In addition to being a well known sports figure, Earl also earned a college degree, married his high school sweetheart, raised two successful sons and still supports the community where he grew up,” said Cindy Smoak, Vice President, SPORTyler. Earl Campbell graduated from John Tyler High School in Tyler before joining the Texas Longhorns under legendary Coach Darrell K. Royal. In his senior year, he led the nation with 1744 yards rushing and 19 touchdowns, going on to win the Longhorns’ first Heisman Trophy. He was subsequently drafted by the Houston Oilers where he won Rookie of the Year honors in 1978 and went on to lead the NFL in rushing 3 times. Campbell earned NFL MVP in 1979 and was elected to the Pro Football Hall of Fame in 1991. He now resides in Austin. “All my life, all I wanted to do was be an athlete. I kept God in my life and surrounded myself with good people. I am humbled by this award named in my honor,” said Campbell. 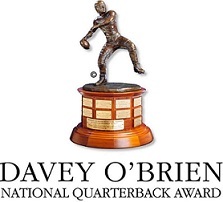 Click HERE to see the Award’s watch list.